Not so long ago, teeth with roots that had been impaired or infected used to necessitate extraction, which can create many issues and should be circumvented whenever possible. The good news is that Dr. Salmons has excellent skill in advanced root canal therapy. A root canal is a technique for repairing a tooth by removing the pulp chamber and restoring it with a filling material. This is often required when dental decay spreads to the nerve of the tooth (or the tooth has become diseased), and a simple filling would not be appropriate. When dentists first started performing root canals, they invoked dread, and the root canal established a reputation as something to be shunned. However, with modern anesthetics and new technologies, root canals are now quite manageable. 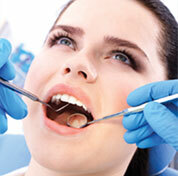 There are times when the best solution to a dental issue is an extraction. This can be required when there is extensive damage to or infection in a tooth, of if third molars are impacted. We are able to provide most extractions in our office, which allows you to avoid the inconvenience of a referral to another office. 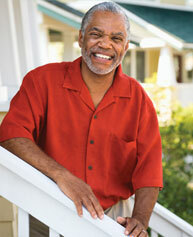 Our compassionate manner will make you feel comfortable in our care for this treatment. Nitrous oxide sedation, also identified as “laughing gas,” is frequently provided to allow treatment to be more comfortable. Inhaling this sedation through a mask allows you to breathe in the medication, provoking a state of relaxation. Local anesthetic is then dispensed in combination with the nitrous oxide to abolish pain in most cases. Missing Teeth? Replace Them with Mini Implants! No matter how many missing teeth you have, mini implants may be the answer. They can be used to replace individual teeth or to lock in dentures for patients who have no teeth. No more gaps, slipping dentures, and trapped food. Goodbye to speech issues and the “sunken” look. Mini implants can be placed immediately, all in one visit, so there’s no waiting for months to fill the gap. We are excited to offer laser treatment of cold sores right here in our office. The dental laser is FDA approved and can also be used to cosmetically treat uneven gummy smile lines, clean and re-contour swollen tissue around crowns, halt gum disease, and heal canker sores and mouth ulcers with instant relief. The outcomes are outstanding! The attention of a professional hygienist is your best defense in the struggle against gum disease. Regularly scheduled cleanings remove plaque accumulation before it forms a more challenging concern. Plaque often remains in the difficult-to-reach places of your mouth. Even with systematic brushing, some of it will remain in the grooves and pockets of your teeth and gums. Plaque hardens into tartar, which is beyond the scope of your standard toothbrush and floss to eliminate. Tartar accumulates below your gum line as well as on the enamel of your teeth, inviting decay and even gum disease to take up residence in your mouth. Recent research shows a clear link between untreated gum disease and other life-threatening illnesses such as heart disease, stroke, and diabetes. Which means having your teeth cleaned is one of the most beneficial reasons to visit your dentist! Until recently, the silver-mercury amalgam was the principal filling material used in dental practices, and in fact, many offices still use it. While they are a thorough restoration, many patients don’t like the way they look. Dr. Salmons provides modern restorations that are a natural-looking white, include no metals, and can actually strengthen your teeth. 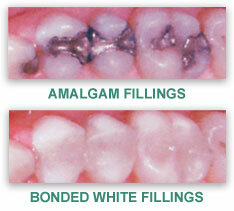 In addition, they bond securely with the healthy part of your tooth so there is less risk of decay in the future. If it’s time for your next cleaning, or if you’re ready to schedule a no-cost/no-obligation consultation, call us now at (712) 239-5900.